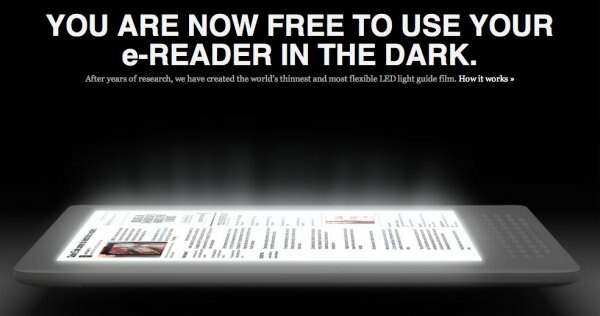 This is an LED film that covers your e-reader and creates what has so far been impossible with E-ink readers. At a thickness of just 50 micron, the film essentially acts as a light guide, spreading the LED’s beams across a reader’s display and creating a “soft glow” that many predecessors have thus far failed to replicate. It will be fun to see what this can do..At a thickness of just 50 micron, the film essentially acts as a light guide, spreading the LED’s beams across a reader’s display and creating a “soft glow” that many predecessors have thus far failed to replicate. Previous: Capturing at the speed of light!